Imogene Lewis, age 90, of Westland, Michigan, formerly of Madisonville, entered into her eternal rest on Thursday, November 1, 2018 at the Imperial Nursing Home and Rehabilitation Center in Dearborn Heights, Michigan. “Ms. Imogene” as she was lovingly called by many, was born on May 9, 1928 in Madisonville, Kentucky to the late Carl Lewis and Jimmie Bernice Helms Lewis. She also was preceded in death by her brothers, Wayne Patrick Lewis and Stanley Edward Lewis, sister Peggy Lewis Springer, sister in-law Lula M. Lewis and brother in-law Cleveland Springer. Ms. Imogene graduated from Rosenwald High School in Madisonville. 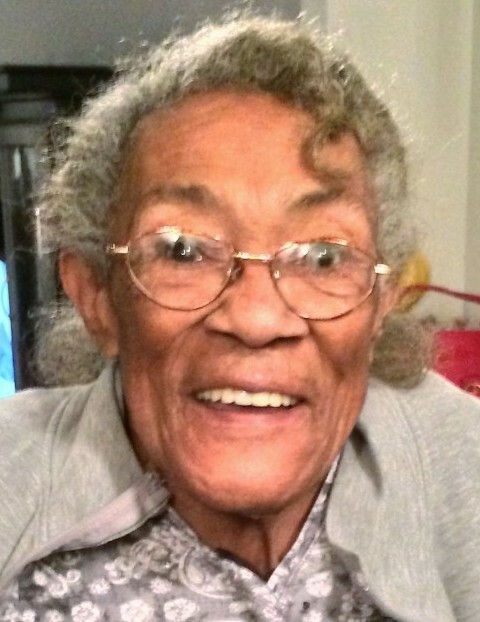 She was a longtime member of Flower Grove Baptist Church in Madisonville where she served on the Mothers and Missionary Board and as an Usher for many years. Ms. Imogene loved to cook, with baking cakes and pies as her specialty. She loved having family and friends around where no one went hungry. She retired in 1993 from the Regional Medical Center in Madisonville with over 30 years of service as Head Cook in the Dietary department. She leaves behind to cherish loving memories are her son, Richard Lewis of Madisonville, daughter, Debra (Robert) Fowlkes of Westland, Michigan, granddaughter, L’Oreal (Richard) Walker, grandson Darren Fowlkes, Westland, Michigan, nephew Jason (Jennifer) Lewis, Cape Coral, Florida, great-nephews, Jordan and Jayden Lewis, Cape Coral, Florida and great-grandchildren, Chloe Walker and Robert Walker, Canton, Michigan and a host of cousins and friends. Her life will be celebrated at 1:00 p.m. Tuesday November 13, 2018 at Flower Grove Missionary Baptist Church. The Reverend M.L. Quarles will officiate. Burial will be in Elliott Memorial Gardens in Madisonville. Visitation and wake services will be from 11:00 a.m. until service time Tuesday at the church. Elliott Mortuary in Madisonville is in charge of the arrangements.